The Cultural Frontline speaks to singers and songwriters from across the world about how music can tell the story of their country, their people and themselves. Recent weeks have seen tensions rise between India and Pakistan following the continuing dispute over the territory of Kashmir. Military action has been taken and each nation has banned the other’s films and music. Asim Azhar is a rising star of Pakistani music, he tells Tina what this ban will mean for singers, like him, caught between the two nations. 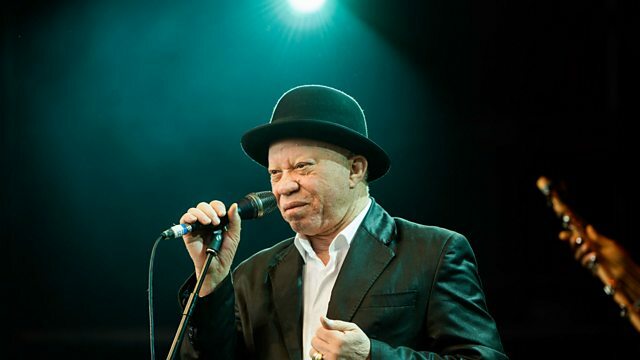 He’s known as the Golden Voice of Africa, the legendary singer Salif Keita talks to the BBC’s Kim Chakanetsa about facing prejudice growing up in Mali as an albino and why he uses his voice to sing and speak up for albinos everywhere. Has a song, a book, a poem ever changed the way you see the world? The critically acclaimed singer Laura Mvula shares the story of how she found the inspiration for her latest work, Love Like a Lion, in the poetry of Ben Okri. Plus we meet the man bidding for Eurovision glory, the Italian singer Mahmood. We find out why his recent singing success has sparked political debate across Italy.